I don't say that lightly - in a former life I was a graphic designer, and I've paid entirely too much money to this particular company over the years. But even so, the sheer utility and the fantastic user interface in Photoshop Touch make it an easy recommendation, no matter what your inclination or skill level. 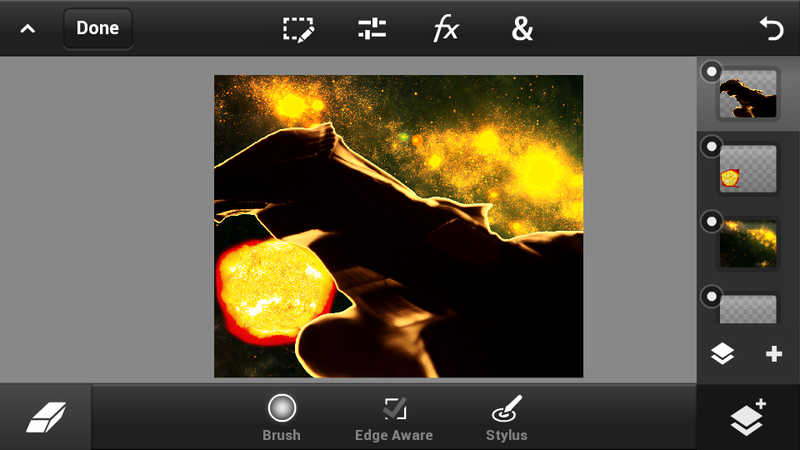 Simply put, if you want to edit photos on your phone and need more options than the built-in image editor, you want this app. Being a veteran of the desktop version of Photoshop, I was expecting a watered-down version of the one already found on tablets. I was pleasantly surprised to find that every feature I'd used on the tablet version is preserved in the phone version. There may be a few missing settings or sliders among the dozens found in the app, but there was nothing I wanted to do that I couldn't using this version. And make no mistake: that's not to say that it's got just a few more features than Instagram or the built-in editor. 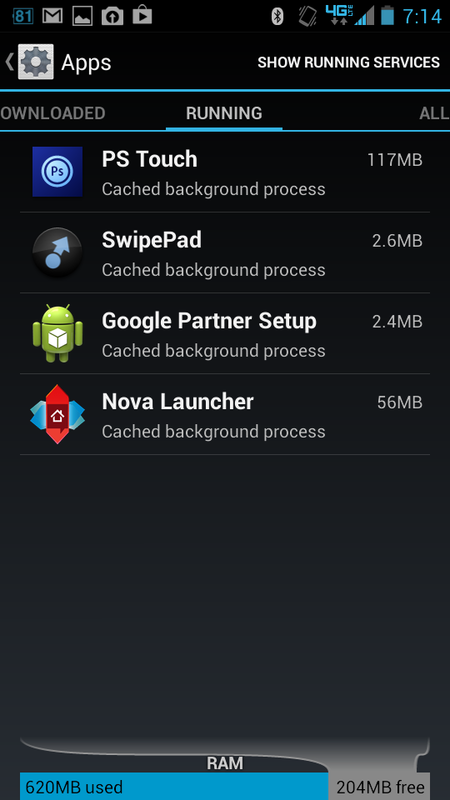 The sheer magnitude of options is far beyond anything else I've seen on Android. 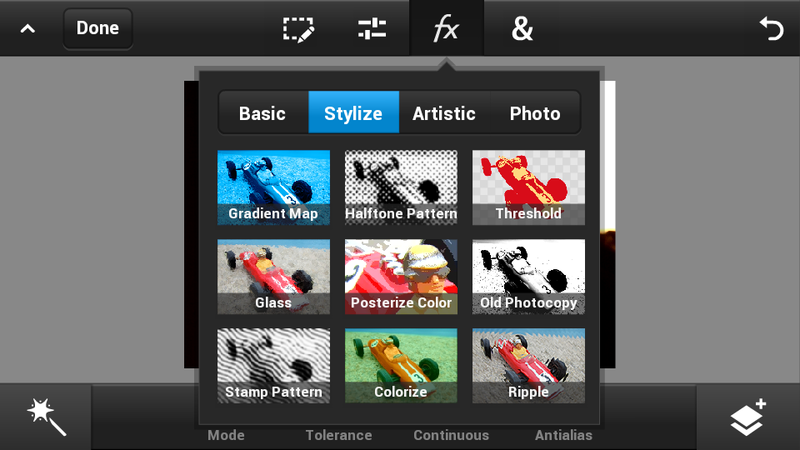 While you get the standard array of photo filters and effects, that's the kid's stuff - fodder for the Instagram crowd. 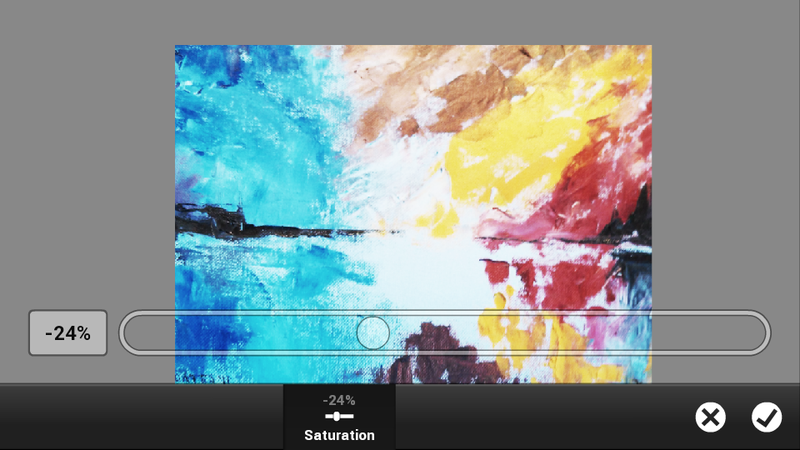 Photo effect sliders that let you control crucial elements, like levels, curves, color balance, shadows, highlights, and the like, give you real control over how photos look. With a little knowledge of photo editing and a steady index finger, you can get photos looking exactly the way you want with a surprisingly small amount of effort. The speed and ease with which these adjustments can be made is as close as possible to the desktop app, and since the most-used functions are literally at your fingertips, it's easy enough to find them. But that's only half the story. 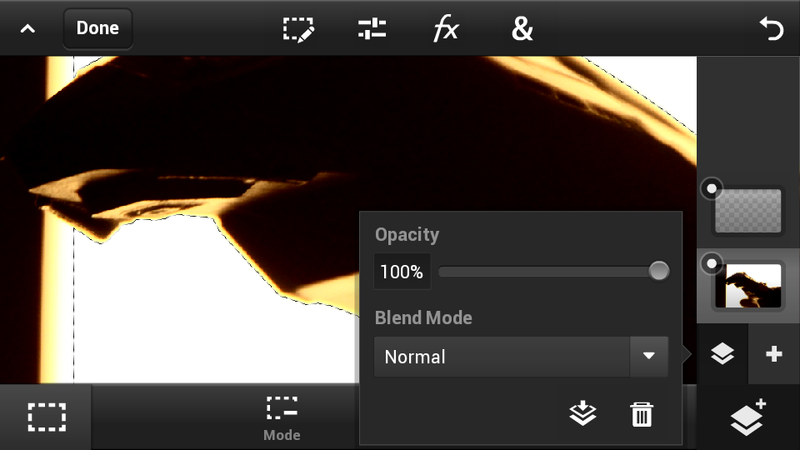 A real raster editor needs advanced selection tools and layers. Photoshop Touch has both of these, though it must be said that the platform itself is somewhat limiting in this respect. (My kingdom for a Galaxy Note - this review was performed on a DROID RAZR M.) The selection tools are found on the bottom left corner, while the layers are on the right. The selection tools include most of the more important desktop staples: magic wand, marquee, clone stamp, and various brushes. These are simple, but amazingly well-implemented - see the section on interface below. Layers aren't done quite so well. Most of the functions you're used to seeing have been moved to the overhead toolbox, meaning that they're more or less just a Z-axis. 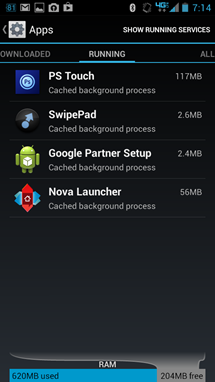 Without quick and easy cut-and-paste functions (which are hidden behind the in-app menus and can't be activated via a long-press or physical Menu button) their usefulness is somewhat limited. 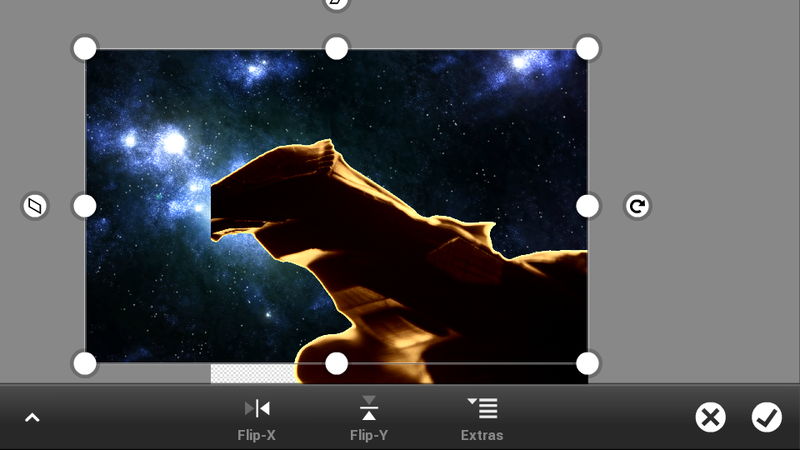 On the other hand, layer support is hard to find in any mobile raster-based editor. 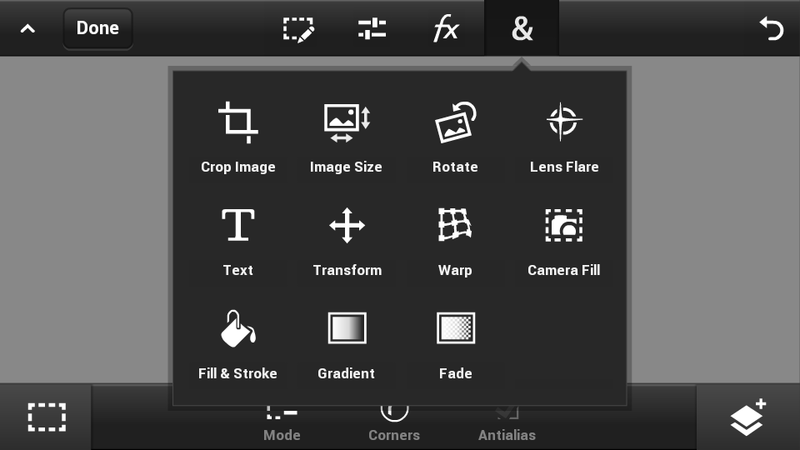 The fact that they're included at all opens up a lot more options for image creation. 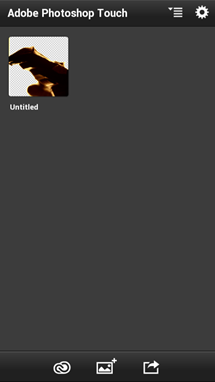 Lastly, most exported images are limited to JPEG and PNG. 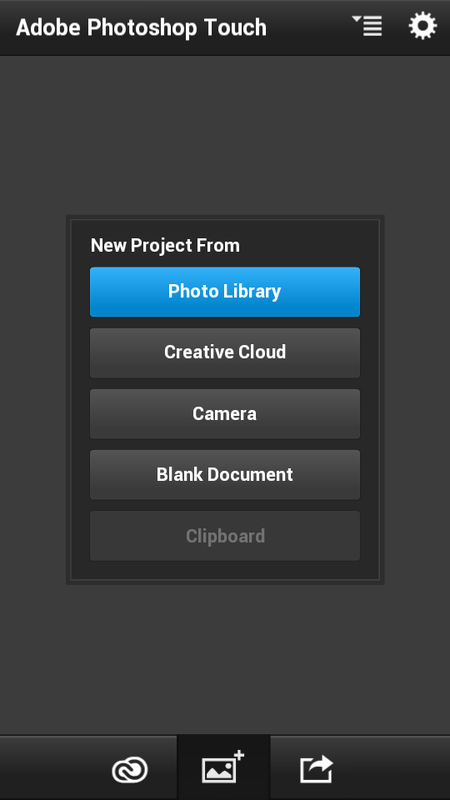 That's a bit of a let-down, especially since you might want to edit saved projects later on the desktop. (This may be possible with Adobe's online suite.) I didn't find an upper limit to the image size, and Photoshop Touch opened photos from my 15 megapixel DSLR without complaint. While all the bells and whistles in the world are nice to have, they don't mean anything if you can't get to them. The interface makes dozens of tools available to the user, and it's what makes Photoshop worth your attention. The UI is split into toolboxes above and below the workspace. 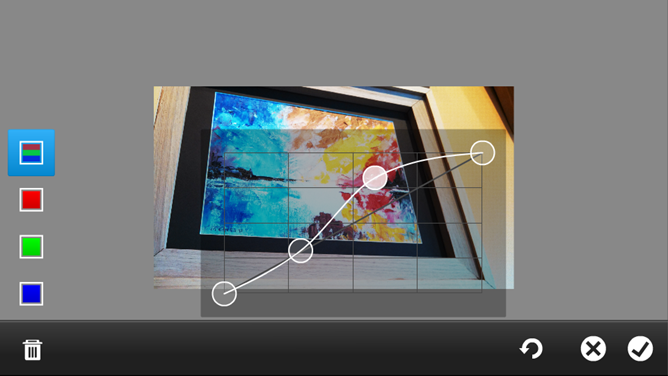 Up top, you'll find (from left to right) selection modifiers, image settings, filters and effects, and more basic tools like crop, transform, and text. 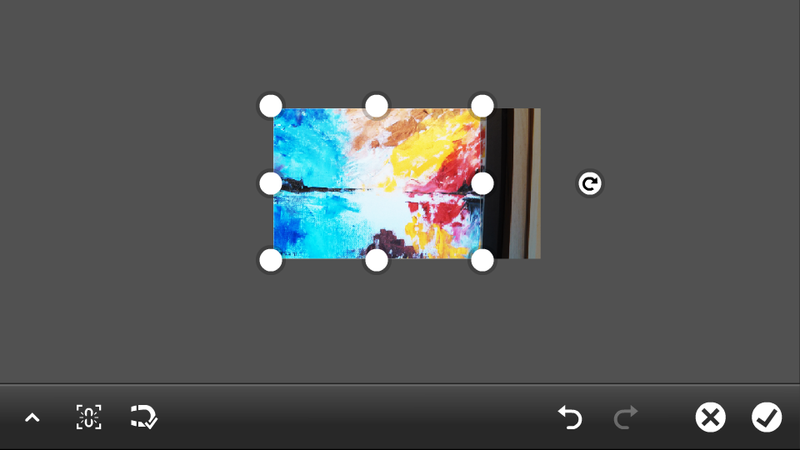 Below you get the previously mentioned selection and layer corners, with a contextual action bar in the middle. The buttons are large, and necessarily so - operating this app with your fingers is hard enough. Again, if styli were a more common phenomenon on smartphones, this might be different, but at present it's a pretty good way to go about things. While I won't say the interface is entirely transparent, it shouldn't take a tech-savvy user long to find everything useful. 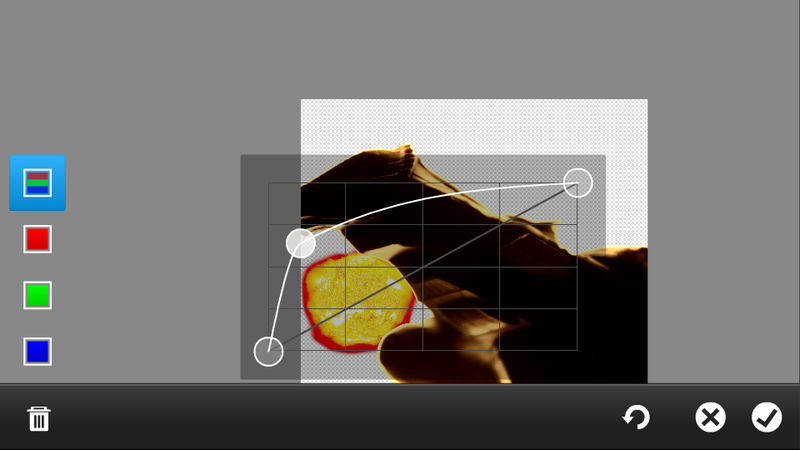 Tools open up in new full-screen windows, which show a preview of their effects and a slider for more complex adjustment. Most of the tools will default to a single 0-100 slider, unlike the more complex desktop and tablet versions, though most smartphones probably couldn't handle much more effectively. 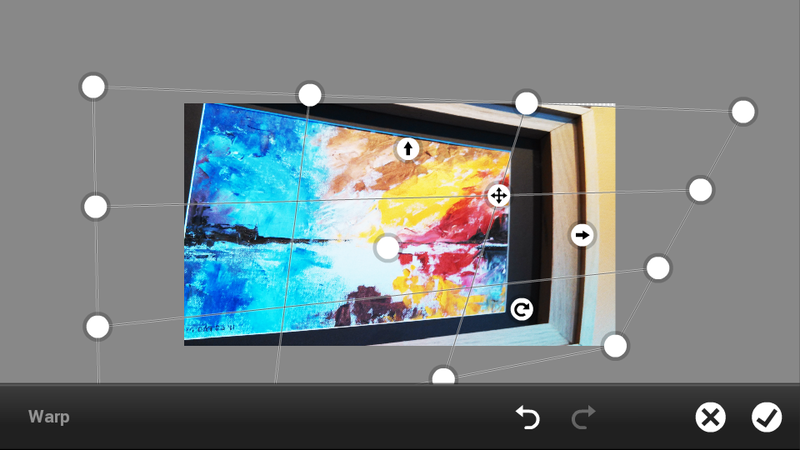 Smartly, an "undo/back" button is included in both the primary window and all secondary windows, allowing for a quick look and subsequent erasing. For less advanced users, there are pre-configured filters roughly analogous to the ones you'll find on Instagram and the like. All that said, there are limitations inherent to the phone interface. Complex selections are possible, but not easy, a result of the finger-friendly interface more than anything else. Changing your brush or selection tool can be difficult, and would be much improved with a keyboard-style popup so your finger doesn't get in the way. Managing multiple layers gets hairy quickly since you have to open up a slider each time - desktop Photoshop users will find it achingly slow. Managing multiple windows is basically impossible. To switch to another document or photo, you'll need to save your work, then open up another one. Handling external images is also tricky, since you have to open them as a new layer instead of simply pasting them in place (Photoshop can only paste from within the app itself, at least for visual content). 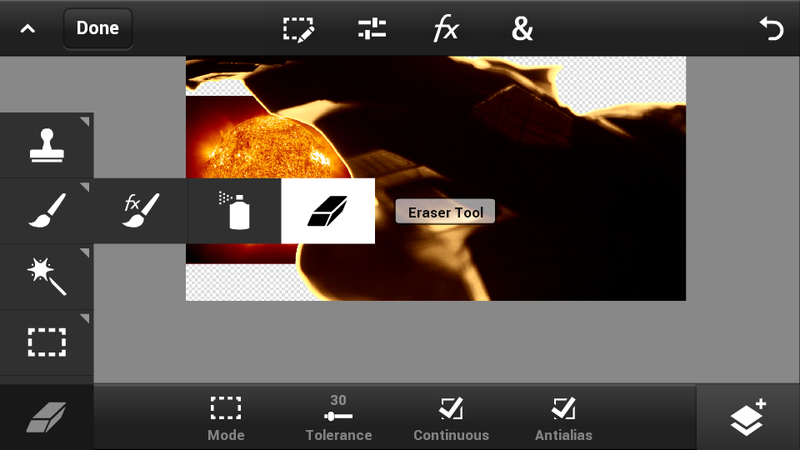 But easily the most frustrating part of Photoshop for smartphones is that it tends to close quickly. Switch to your browser or homescreen for more than a minute, and Photoshop will need to reboot. 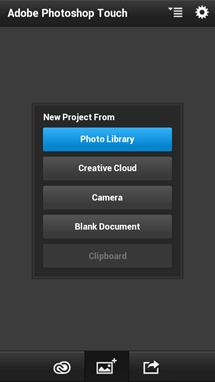 That's not a big deal in and of itself, but it will also lose whatever changes you've made to your open photo without saving, no matter how long you've been working on it. This behavior will teach you to save early and often. This may not be avoidable, considering the huge memory footprint (it'll easily eat up 100MB or more) but the app should have some kind of auto-save feature in place. 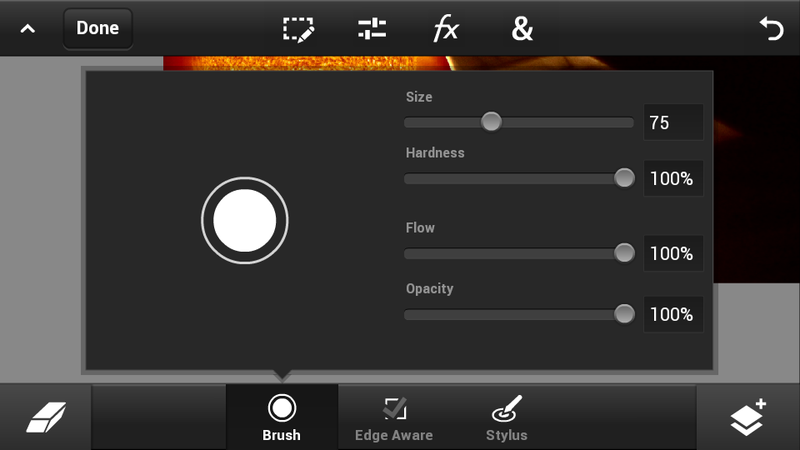 Even with its faults, Photoshop Touch is an impressive app, and one that both casual and power users will appreciate. It's the first time that I've felt that I could reliably depend upon my smartphone for light and intermediate photo editing duties, even if it's nowhere near as fast as the real McCoy on the desktop. There's very little that you'd want to do on your phone that you won't be able to. Yes, creating a separate app for phones and tablets is a bit of a jip, but considering how much adjustment had to be made to make the user interface comfortable, it might just be justifiable. 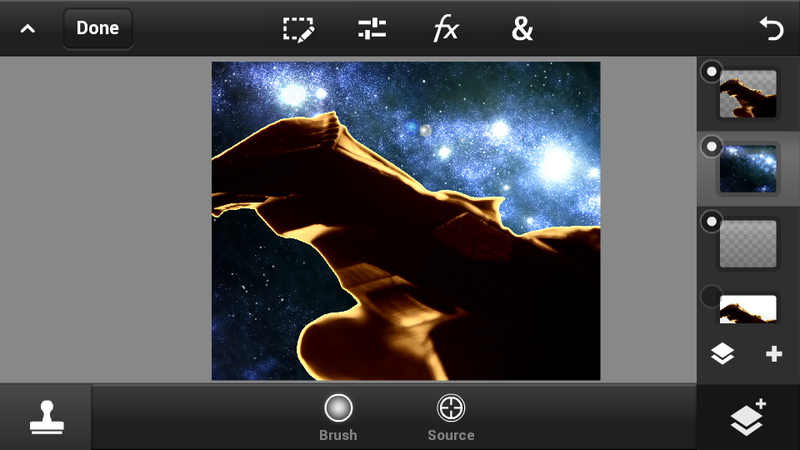 And let's be honest: if Photoshop wasn't already available on tablets, five dollars for this app would be a steal. It would be well worth the cost at twice the price, and you can't say that about many apps on any platform.